Little Falls is a city in Morrison County, Minnesota, United States, near the geographic center of the state. Established in 1848, Little Falls is one of the oldest European-American cities in Minnesota. It is the county seat of Morrison County. The population was 8,343 at the 2010 census. Little Falls was the boyhood home of noted aviator Charles Lindbergh. Just across from his former home is Charles A. Lindbergh State Park, named after Lindbergh's father, prominent Minnesota lawyer and U.S. Congressman Charles August Lindbergh. Cadillac is a city in the U.S. state of Michigan, located in Haring Township. The city is the county seat of Wexford County. The population was 10,355 at the 2010 census. The city is situated at the junction of US 131, M-55 and M-115. The geographic center of Michigan is approximately five miles (8.05 km) north-northwest of Cadillac. Carver is a yacht builder located in Pulaski, Wisconsin in the United States and a "recognized leader in the luxury motoryacht market". Glastron is a boat manufacturing company and was one of the first manufacturers of fiberglass boats. Bob Hammond, Bill Gaston, Bob Shoop, and Guy Woodard founded this company on October 14, 1956 in Austin, Texas. It was sold to Genmar Holdings in the 1990s and manufacturing was moved to Minnesota. Glastron is known for its boat hull design innovations, including the Aqualift and "SSV" hull designs, the latter of which is still in use today. Scarab is a brand of high performance power boats formerly owned by Wellcraft and currently by Rec Boat Holdings. Wellcraft still makes a line of fishing boats which are currently known as Scarab Offshore. The Brunswick Corporation, formerly known as the Brunswick-Balke-Collender Company, is an American corporation that has been active in developing, manufacturing and marketing a wide variety of products since 1845. Today, Brunswick Corporation owns numerous leading lifestyle brands such as Mercury Marine, Life Fitness, and Hammer Strength. They also own many popular boating brands under the Brunswick Boat Group division including Sea Ray, Bayliner, Crestliner, Harris Boats, and Boston Whaler. Starting in the 1970s, the company also entered the field of arms development and manufacture. In 2015, it had sales of US$4.105 billion with net earnings of $241.4 million that year, and $276 million in 2016. 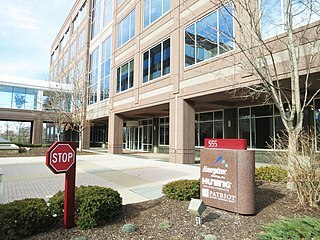 Brunswick's global headquarters is in the northern Chicago suburb of Mettawa, Illinois. Ranger Boats are a popular line of bass fishing boats designed primarily for black bass fishing. Since launching, the company has expanded their line of boats to offer recreational options as well. The company has fiberglass boats, but with the modern success of the aluminum boat on top tournament trails, unveiled an aluminum series. The company was founded in 1968 by Forrest L. Wood in Flippin, Arkansas. Ranger is generally credited with the introduction of the modern bass boat. Stratos Boats, Inc. is a manufacturer of fishing boats and is located in Flippin, Arkansas. Formerly owned by Platinum Equity, which also owned Triton and Ranger Boats as Fishing Holdings LLS, Stratos was acquired by Bass Pro Group in December 2014. They produce a line of fiberglass boats, primarily for the U.S. bass and panfishing markets. Most of their boats are 16 ft. to 21 ft. in length. Polaris Industries is an American manufacturer of snowmobiles, ATV, and neighborhood electric vehicles. Polaris was founded in Roseau, Minnesota, USA, where it still has engineering and manufacturing. The company's corporate headquarters is in Medina, Minnesota. The company manufactured motorcycles through its Victory Motorcycles subsidiary until January 2017, and currently produces motorcycles through the Indian Motorcycle subsidiary, which it purchased in April 2011. Polaris produced personal watercraft from 1994-2004. Energizer Holdings, Inc. is an American manufacturer and one of the world's largest manufacturers of batteries, headquartered in St. Louis, Missouri. It produces batteries under the Energizer, Rayovac, Varta, and Eveready brand names, and formerly owned a number of personal care businesses until it separated that side of the business into a new company called Edgewell Personal Care in 2015. 4Licensing Corporation was an American licensing company. The company was previously also a film and television production company that English-dubbed Japanese anime through its subsidiary 4Kids Productions between 1992 and 2012; it specialized in the acquisition, production and licensing of children's entertainment around the United States. The first anime that 4Kids Productions dubbed was the first eight seasons of Pokémon that aired on Kids' WB! in the United States. The company is most well known for its range of television licenses, which has included the multibillion-dollar Pokémon and Yu-Gi-Oh! Japanese anime franchises. They also ran two program blocks: Toonzai on The CW, and 4Kids TV on Fox, both aimed at children. The 4KidsTV block ended on December 27, 2008; Toonzai/The CW4Kids block ended on August 18, 2012, which was replaced by Saban's Vortexx, which in itself was succeeded by One Magnificent Morning in 2014. Ovation Brands, Inc., based in the San Antonio suburb of Hollywood Park, Texas, is a subsidiary of Food Management Partners, Inc. and is the operator of a number of American national buffet chain restaurants. The company's restaurants include steak-buffet, as well as steakhouse restaurants with menus that range from grilled-to-order steaks, single-serve dishes, scratch-made soups, entrees and desserts, beverage bars, buffets, chops and grilled seafood, and others. It was previously known as Buffets, Inc. Outboard Marine Corporation (OMC) was a maker of Evinrude, Johnson and Gale Outboard Motors boat motors and many different brands of boats. It was a multibillion-dollar Fortune 500 corporation. Evinrude began in Milwaukee, Wisconsin in 1907. OMC was based in Waukegan, Illinois. They also owned several lines of boats such as Chris Craft, Lowe Boats, Princecraft, Four Winns, SeaSwirl, Stratos, and Javelin. OMC was also a parent company to Ryan, which made lawn mowers. Nine West Holdings is an American designer, marketer and wholesaler of branded clothing, shoes and accessories. Ferretti S.p.A. is an Italian multinational shipbuilding company headquartered in Forlì which specialises in the design, construction and sale of luxury motor yachts. Its products are sold under the brands Ferretti Yachts, Custom Line, Pershing, Itama, Riva, Mochi Craft and CRN. Spectrum Brands Holdings, Inc., a Fortune 500 company, is an American diversified company established in 2005 as the successor company to Rayovac Corporation. Rayovac had been located in Wisconsin since its inception as The French Battery Company in 1906. Irwin L. Jacobs was an American businessman. He was the CEO of several large corporations, formerly including the now-bankrupt Genmar Holdings, which at one time was billed as the world's largest boat-building company. He earned the nickname "Irv the Liquidator" for his aggressive business practices in the 1970s and early 1980s. In 1973, Jacobs founded COMB, a catalog-based mail-order retailer. In 1986, COMB and several cable television operators created the Cable Value Network (CVN), a pioneering television shopping channel which was later purchased by Joseph Segel's QVC. Jacobs, based in Minneapolis, became wealthy by taking big stakes in Fortune 500 conglomerates, usually with the goal of unlocking value by breaking them up. The Brunswick Boat Group, headquartered in Knoxville, Tennessee, United States, is the largest maker of pleasure boats in the world. The company's net sales were US$1.7 billion in 2008, and US$1.0 billion in 2012. The Boat Group makes Sea Ray, Bayliner and Meridian pleasure boats; Boston Whaler offshore fishing boats; and Crestliner, Cypress Cay, Harris, Lowe, Lund, Princecraft fishing, deck and pontoon boats. Brunswick is one of the largest boat makers by units in Europe, with Quicksilver, Uttern and Valiant boat brands. In New Zealand, Brunswick also owns the Rayglass boat brand. Brunswick markets its specialty boats through Brunswick Commercial and Government Products. Attwood and Kellogg boat parts and accessories, once a part of the group, are now a part of the Mercury Marine group. Cengage is an educational content, technology, and services company for the higher education, K-12, professional, and library markets worldwide. It has operations in more than 20 countries around the world. White River Marine Group is an American company that develops, manufactures and markets fishing and recreational boats and related marine products. It was founded in 1978 by John Morris, founder of Bass Pro Shops. The company is owned by Bass Pro Shops. The Group's boats, and their accompanying trailers, are manufactured in plants located in southern Missouri, Arkansas, and Miami, Oklahoma. The company headquarters is located in Springfield, Missouri. The 2009 General Motors Chapter 11 sale of the assets of automobile manufacturer General Motors and some of its subsidiaries was implemented through Chapter 11, Title 11, United States Code in the United States bankruptcy court for the Southern District of New York. The United States government-endorsed sale enabled the NGMCO Inc. to purchase the continuing operational assets of the old GM. Normal operations, including employee compensation, warranties, and other customer service were uninterrupted during the bankruptcy proceedings. Operations outside of the United States were not included in the court filing. Trojan Yachts is (1949–present) a US manufacturer of motorboats, with offices and production facilities in Lancaster Pennsylvania, Elkton Maryland and Niagara-on-the-Lake Ontario Canada. Wellcraft LLC is a major manufacturer of American powerboats. It was founded in 1955, making wooden runabouts. The company slogan is, "World Class Performance". Sealine is an English brand for motor yachts. It is originated in the former Sealine boatyard in Kidderminster that was founded in the 1970s by Tom Murrant. The brand is part of German HanseGroup since 2013. ↑ Janssen, Peter (July 1987). "A Pastrami, and Hatteras to Go". At the Helm. MotorBoating . Retrieved 28 August 2015. 1 2 "Company Overview of Genmar Holdings, Inc". Bloomberg Business . Retrieved 26 August 2015. ↑ "Genmar Holdings files for bankruptcy". Industry News. Nashville Business Journal. 4 June 2009. Retrieved 28 August 2015. 1 2 "Genmar Sells Hatteras Yachts". Sarasota Herald-Tribune. 25 October 2001. Retrieved 28 August 2015. ↑ "Brunswick Completes Acquisition of Hatteras Yachts". 1 2 "Bass Pro Shops signs financing deal for Fishing Holdings" (Industry News). TradeOnlyToday. 9 July 2015. Retrieved 28 August 2015. ↑ "Sale of Ranger, Stratos, Triton finalized". BassFan. 11 February 2015. Retrieved 28 August 2015.